I've been trying a lot of new food things lately because the grocery stores are full of them! April was a busy month for me with work travel and getting settled into my new home. I wanted to opt for healthy things on trips and not junk because it makes me feel sluggish. The thing is that sometimes healthy food cannot taste good or I don't know what to expect. I wanted to write some small reviews for anyone thinking of trying something and was not sure if they should take the plunge. 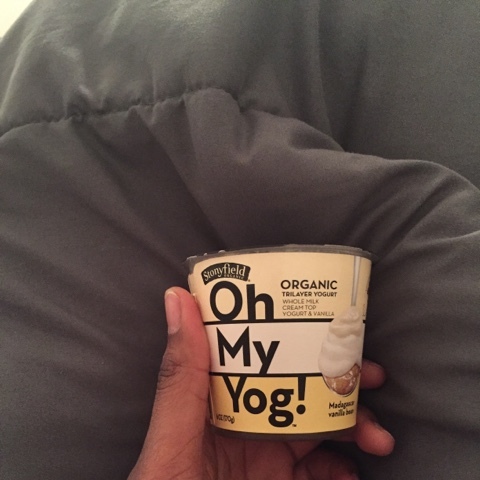 Stonyfield Oh My Yog Organic TriLayer Yogurt: This stuff is so good as dessert! It's sweet with the vanilla on the bottom but the yogurt has a nice tart taste to it without overpowering the layer on the bottom. 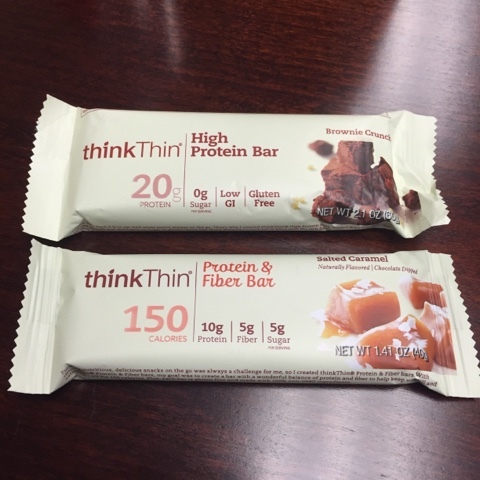 Think Thin Bars: I got these on a day when I did not have a chance to eat a real meal. They are both really good! The Salted Caramel is delicious or only 150 calories. I would buy it again to eat when I have a candy bar craving. The Brownie chunk bar was a little rougher to get down but it was good. I would probably not purchase that one again. 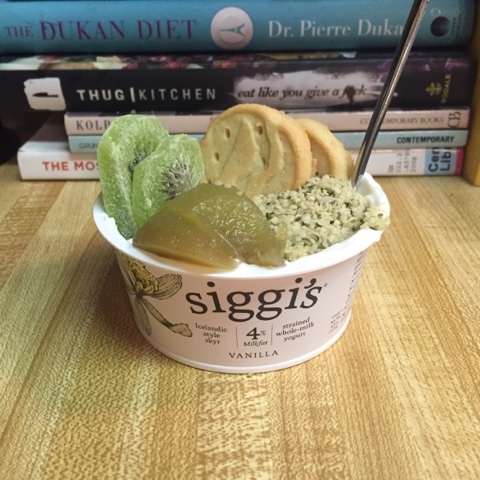 Siggi's Yogurt topped with Dried Kiwi, Lime Curd, Hemp Seeds and Girl Scout Cookies = SO SO SO SO SO GOOD. 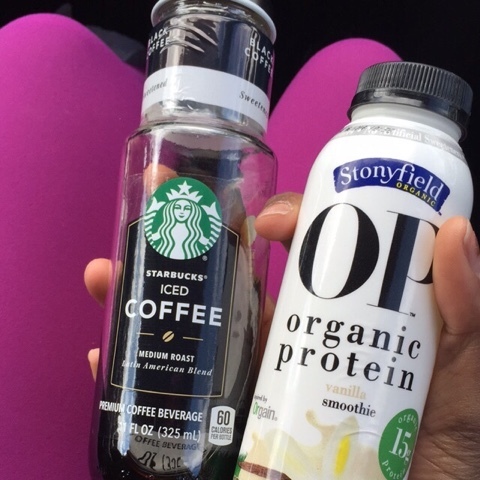 Starbucks Sweetened Iced Coffee and Stonyfield Organic Vanilla Protein Smoothie: These are my go-to road trip drinks. The coffee is good to keep you alert and the protein drink keeps you full and not hungry. 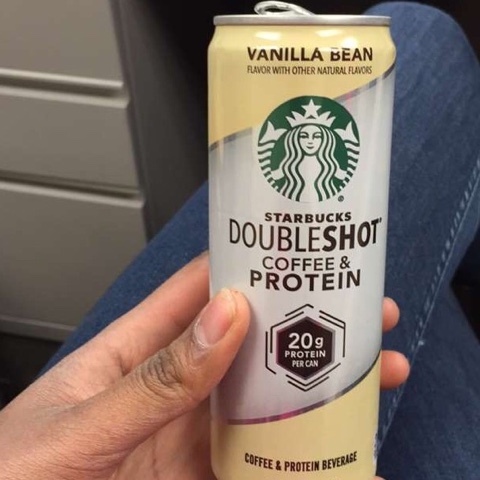 Starbucks Doubleshot Coffee and Protein Beverage: This is one of my favorite things to keep in my bag for work. It is a great breakfast when you did not have time to grab some, it has caffeine which is essential in the morning, and it doesn't need refrigeration! Hopefully, this helps you try some new things & I will repeat this soon with my May favorites!